SPEEDHIDE® Zero Interior Latex is a professional grade zero-VOC** interior vinyl acrylic formulated to meet the performance requirements of professional applicators. This zero-VOC**, low-odor paint is ideal for painting occupied spaces while delivering the durable product performance required. 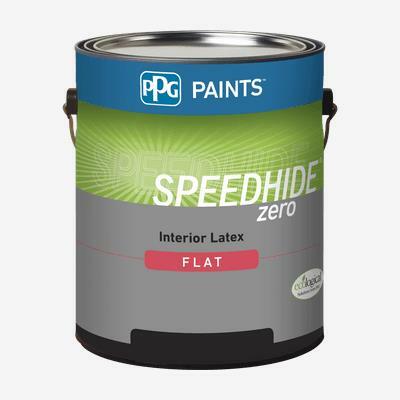 SPEEDHIDE® Zero Interior Latex provides good hide, touch-up, application, and antimicrobial properties that resist mold and mildew stains on the dry paint film. Recommended for interior walls, ceilings, and trim where a uniform finish is desirable.